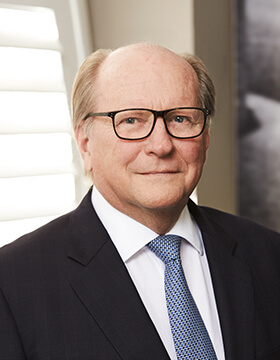 John is recognised as one of the country’s leading senior counsel in the area of family law. He was admitted to the bar in 1995 and appointed senior counsel in 2009. He practices exclusively in the area of family law with a wide-range of experience in all manner of disputes including complex financial cases, relocation cases and other children’s issues. John also regularly appears in the appellate jurisdiction of the Family Court and appears in most of the major capitals of the country. Prior to coming to the bar John was a partner at the prestigious law firm of Henry Davis York for 22 years heading up their family law practice which at that time was extensive. He was also one of the initial examiners for the Family Law Specialist accreditation program. John was listed in Doyle’s Guide 2019 as a recommended Family Law barrister in NSW.